Scott Conant brings a deft touch and unwavering passion for creating soulful food in a lively atmosphere. With a career spanning more than 30 years, including multiple restaurants; an enthusiastic following of fans; and an ever-expanding brand, he has established himself as one of the country’s top chefs and restaurateurs. A graduate of the Culinary Institute of America, Conant first made his mark in the restaurant scene in his 20s, running the kitchens of famed Italian spots such as il Toscanaccio, Chianti, and City Eatery, which earned glowing reviews under his leadership. Scott Conant officially put his name on the map when he opened the beloved L’Impero in 2002, which garnered a three-star review from The New York Times, the title of “Best New Restaurant” from the James Beard Foundation, and praise from top publications such as Gourmet and Food & Wine, the latter naming Conant one of America’s Best New Chefs in 2004. Following the success of L’Impero, Conant opened Alto, an elegant Italian restaurant in midtown Manhattan. Always looking to raise the bar, Conant eventually moved on to bring his own vision of sophisticated, savory Italian cooking to life. In 2017, he opened Mora Italian, a modern, convivial osteria in Phoenix, and The Ponte, a contemporary Italian restaurant in Los Angeles. In February 2018, Conant opened Masso Osteria at Red Rock Casino, Resort & Spa in Las Vegas, and in April 2018, he debuted Italian steakhouse Cellaio at Resorts World Catskills in Monticello, New York. Conant has appeared on NBC’s Today show, The Chew, CBS’ The Talk, and Good Morning America; he also hosts Season 2 of Best Baker in America while appearing as a co-host on Beat Bobby Flay and a regular judge on Chopped, consistently one of Food Network’s highest-rated programs. He has also published three cookbooks: New Italian Cooking, Bold Italian, and The Scarpetta Cookbook. 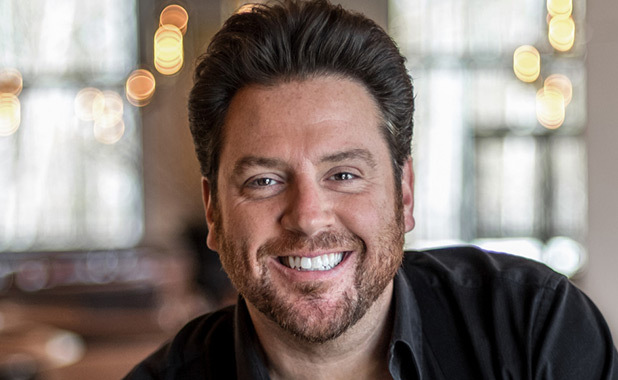 As Scott Conant continues to embark on new opportunities, he looks forward to sharing his enduring philosophy: Savor the pure pleasure of food, down to its last taste.